Similarly, I may want to filter certain recruiting companies. Can you please add the ability to filter these results? 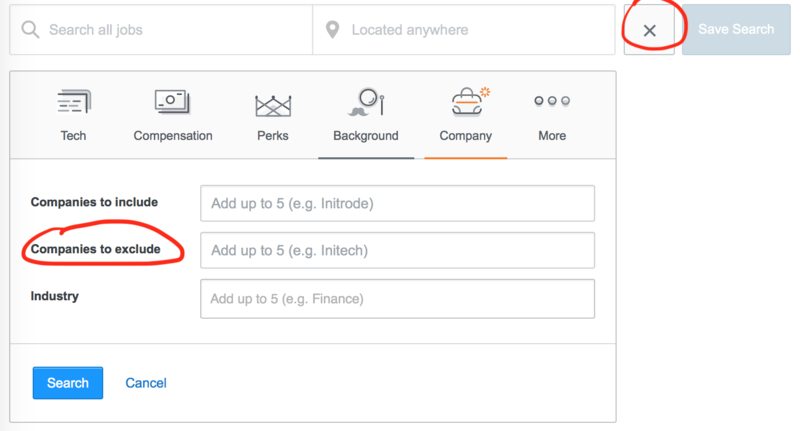 Edit: the ability to filter out companies in your search results is coming soon. We are in the final build phases of our job search feature. This is a good idea. We'll have to give this more thought. I'm not sure yet how we'd implement it and its not yet on the roadmap so I'm setting this to deferred. Not the answer you're looking for? Browse other questions tagged feature-request status-completed jobs advertising . How to report recruiter spam on Jobs?